On the 15th November Google introduced it’s new MMO, Ingress, which is currently in beta testing for the Android platform. 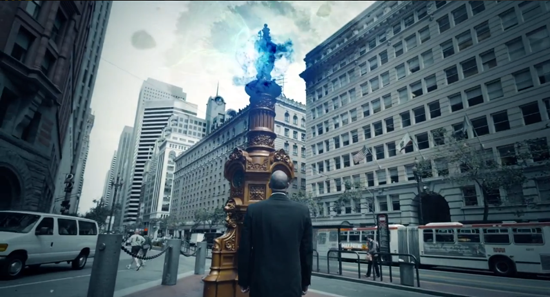 From the video, the game’s central theme is the leak of a secret project being run by Niantic Labs which has has released a new form of energy into the world – with certain places attracting both people and events. The project was discovered by a group known as the Resistance and their goal is to stop Niantic Labs from using the energy as a weapon to hack into people’s minds. Using your Android phone as both a GPS device and game controller, you’ll be able to choose your faction and either hack or protect energy portals and annomalies at various points across the world, depending on what you choose – but you’ll need to actually be at the locations to engage with them, that’s another central tenant of the gameplay. Google’s Ingress is therefore using the largest in-game map ever, the real world! To find out more about this new game from Google, why not request an invite to the beta test here: http://www.ingress.com. Interested as always to hear your thoughts? tongue and into your blood stream, where they begin the process of fighting fat. I think the cast aways on Survivor get more calories than that. Next he focused on translating this into a dietary protocol that works well for losing weight.